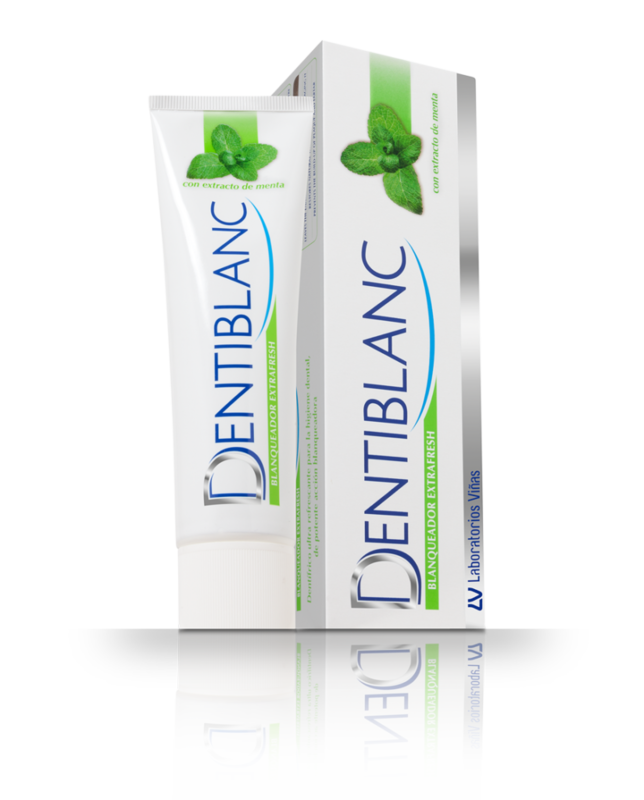 DENTIBLANC EXTRAFRESH Whitening Toothpaste has a powerful whitening action and makes the breath ultra-fresh. A natural product specifically conceived and developed to make your teeth look healthy and attractive. It is not a temporary whitening product, but a dental hygiene product for continued daily use. You like extra-strong toothpastes and are looking for a more intense flavour. You have slight problems with bad breath. You want to keep your mouth healthy, free from plaque, tartar and cavities, maintain or restore the whiteness of your teeth, and have extra-fresh breath. DENTIBLANC EXTRAFRESH Whitening Toothpaste acts effectively and safely due to its complete, pH neutral composition and being completely free of strong acids and peroxides. You will get a deep clean thanks to the overall action of the ingredients in a formula that is significantly reinforced by papain, an enzyme obtained from Carica papaya. It eliminates protein residues that get stuck where your brush can’t reach. Thanks to its fluoride content, DENTIBLANC EXTRAFRESH Whitening Toothpaste strengthens enamel and eliminates plaque and tartar. The addition of titanium dioxide, an exceptional optical whitener, heightens the whiteness of the enamel due to its synergistic action with the other ingredients in the product. With mint essence and menthol, it effectively freshens the mouth and combats bad breath. Continued daily use of Dentiblanc PRO Whitening Toothpaste guarantees excellent results, cleaning, brightening and whitening the teeth. Brush your teeth three times a day, preferably after meals and especially before bedtime.